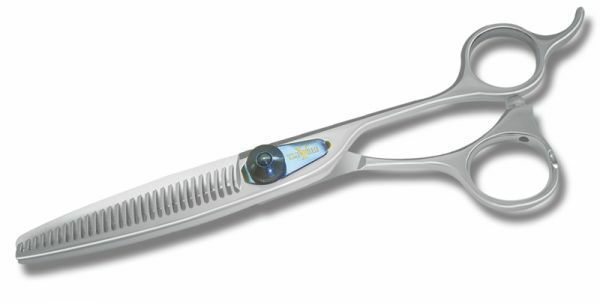 Yuroshi YT-35 Tooth Hair Thinning Scissor with C -Type curved Teeth. These curved teeth give a natural finished look, and assist with easy release from the hair. Designed with Japanese Hitachi 440 C Stainless Steel for a smooth cut. We feel the Yuroshi line of thinners and shears have an "above-average" finish work and craftsmanship for this price range. An excellent quality thinner for the low cost.